The kind folks at Yogi Tea sent me a couple different teas to sample! Neither are teas that I would gravitate towards… I’m a big tea drinker but if it says “spicy” or “spiced”… I’m probably not going to pick it out on my own. 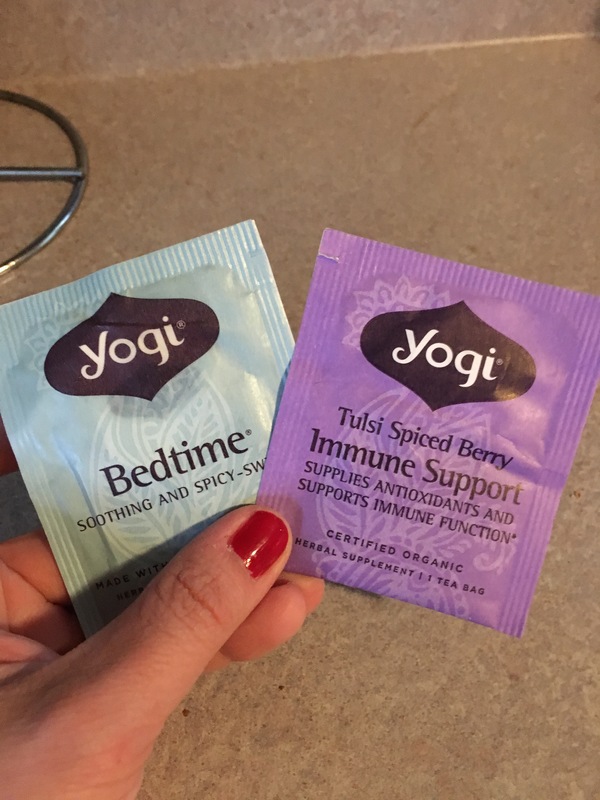 I am, however, a big fan of bedtime teas and anything that supposedly builds the immune system – so, I was excited to try. I first tried the Bedtime tea. 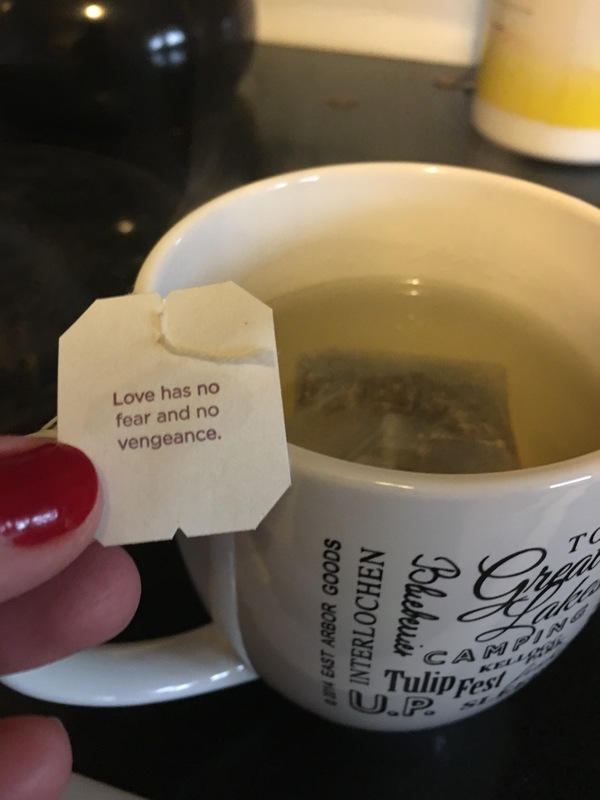 If you’re unfamiliar with Yogi teas, the tea bags all have beautiful quotes on them. This tea took a bit longer to steep but then became a dark brown. I honestly didn’t notice any “spiciness” to the tea. It was mildly sweet and by the end of the cup, it was almost too sweet for me (I’m not a fan of overly sweet teas). The verdict: it was just ok. I love a cup of tea at bedtime and it was relaxing and made me sleeping – just like a good cup of bedtime tea should. However, it was too sweet for my palate. Maybe it’s just me, but I don’t taste anything “berry” or “spiced” about this tea. Are you one of those people who follow the instructions on the box and steep the bag for only X amount of minutes? Yeah… I don’t do that. I drink my tea until it’s gone… with the tea bag still in the mug. And by the end I had a nice, string cup of… black tea? This tea was pretty awesome. 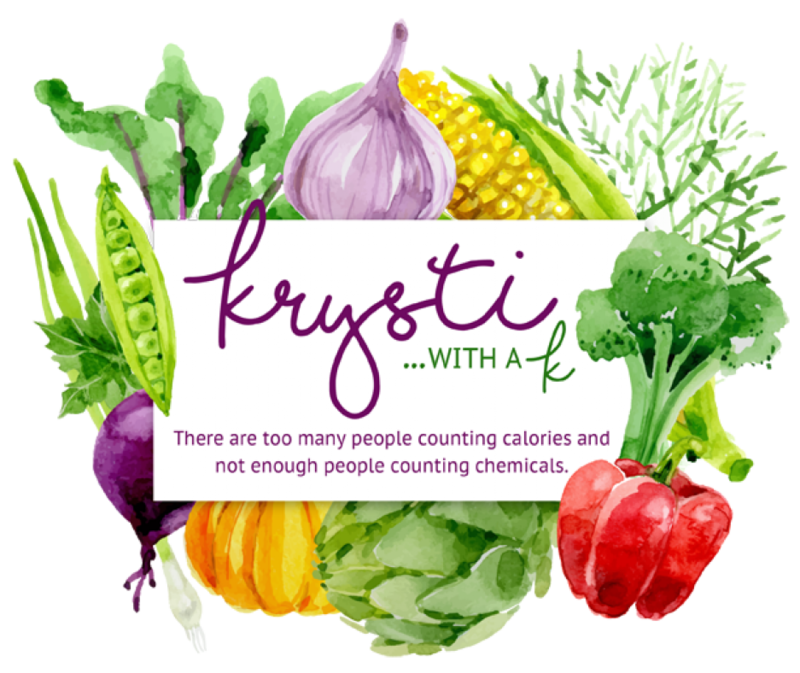 It was slightly sweet without being overpowering. I could see it being an everyday tea for me if I didn’t have a favorite already (Trader Joe’s Candy Cane Green Tea, which I buy in truckloads at Christmas time so it lasts me all year…) but no where did I get that spiced berry feel. Sorry, Yogi Tea. The verdict: loved it, but not what I expected. If I was craving a berry tea, I would be disappointed. Disclaimer: Yogi Tea sent me these teas for review but the opinions are my own.